At Muddy we're renowned gardening divs but even we've learned how to landscape a garden (*thud*). 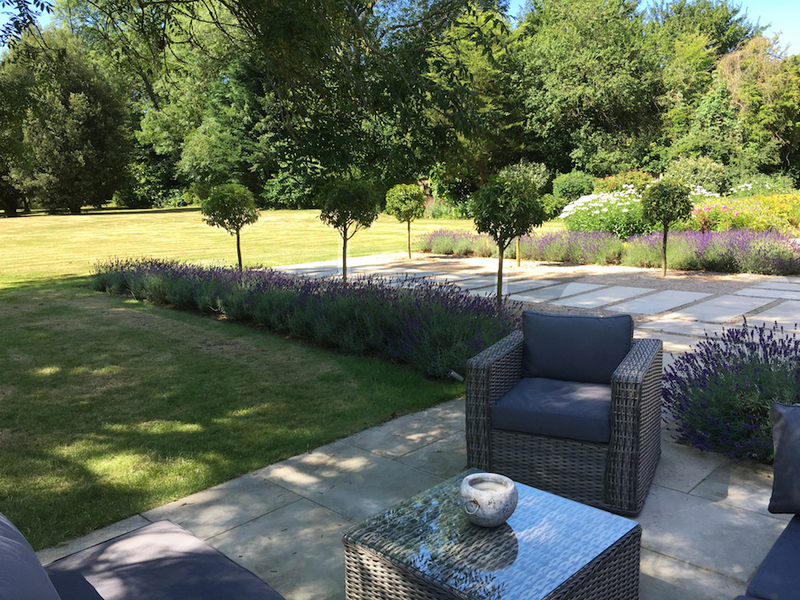 Landscaping one’s grounds sounds like something you’d do if your gaff happened to be a stately home but, actually, whatever the size of your garden, it can be improved with a bit of thought and planning. 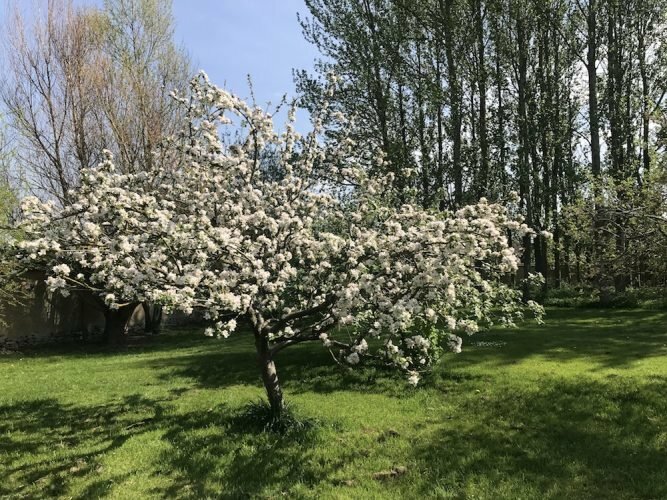 Don’t be intimidated is the message from Simon Murfitt, founder of landscaping, design and maintenance whizzes The Oxfordshire Gardener – and given that his clients include include Blur bassist turned Kingham farmer Alex James, we reckon he knows his onions (from his daffodil bulbs). Tips, Simon, give us gardening divs some tips, please! This is the space nearest to the house – the areas you can nip out to quickly like patios and pathways, but also the immediate views from your window. The key is to make these bits usable and enjoyable all year round. Great ways to do this include adding sheltered and covered areas such as open-sided/fronted wooden structures like generous roofed pergolas or verandahs. These can be designed to suit any garden big or small, and with a variety of finishes, from the rough-sawn rustic to the smooth-planed contemporary. 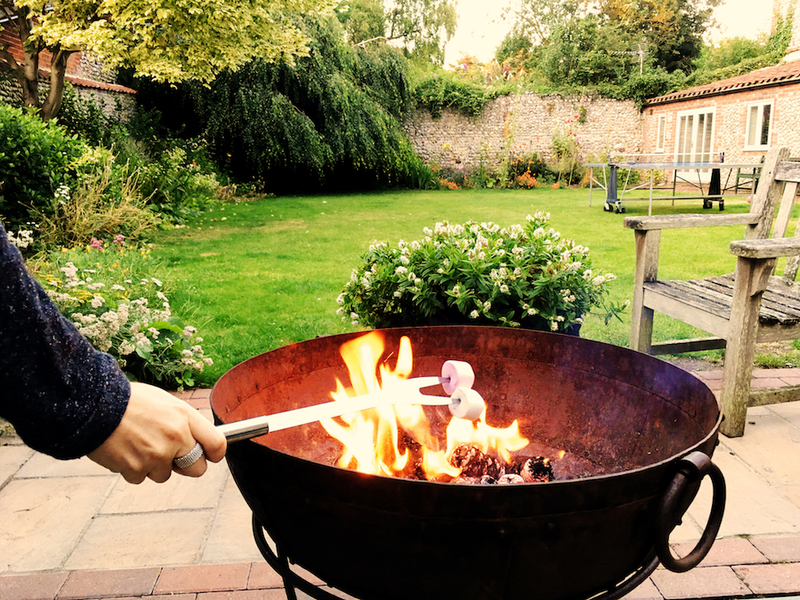 Add some seating, a firebowl (see below) or a table tennis set and you’ve got an outside space that can be used whatever the weather, even when it’s pouring down outside (and let’s face it, it’s done that a lot this summer). Glaze or shiplap board a side or two and you’ll also have a protected area where plants will keep longer. 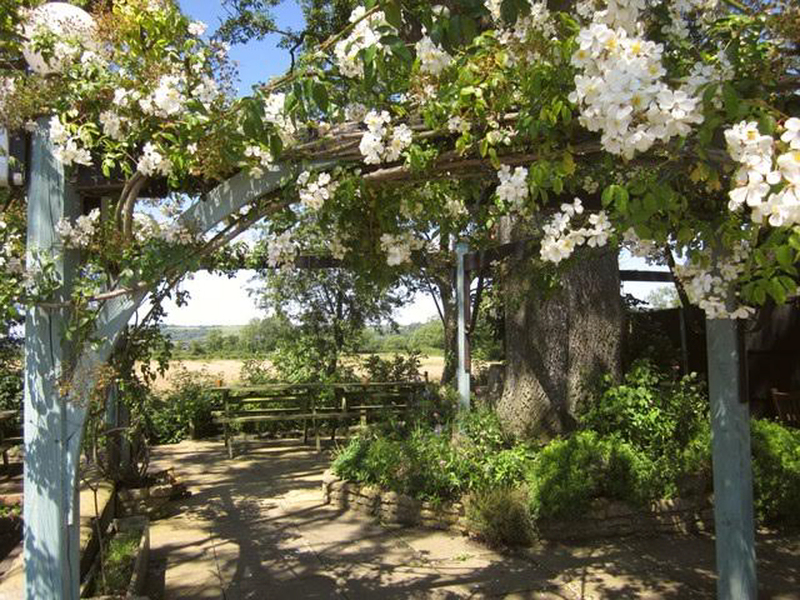 For other parts of the garden, think about the vistas that can be created. For example, are there walls around the edges of your garden that could be used to train espalier fruit trees? Cluster pots, troughs, vintage watering cans and lanterns to create something lovely to look at. Placing grasses, for instance Stipa Gigantica, in line of sight adds interest throughout year, as it sways in the wind prairie-style and, when frost-covered, adds a little drama to an otherwise dormant garden. Well-placed evergreens also keep the garden from looking empty, while shrubs with berries will provide autumn colour. Swathes of narcissus bulbs naturalising in the distance look great when viewed from the house as yellows really catch the eye – plan a succession of bulbs now for planting this autumn. We associate pottering around in the garden with the warmer months of course, but a good garden will work for you all year round. 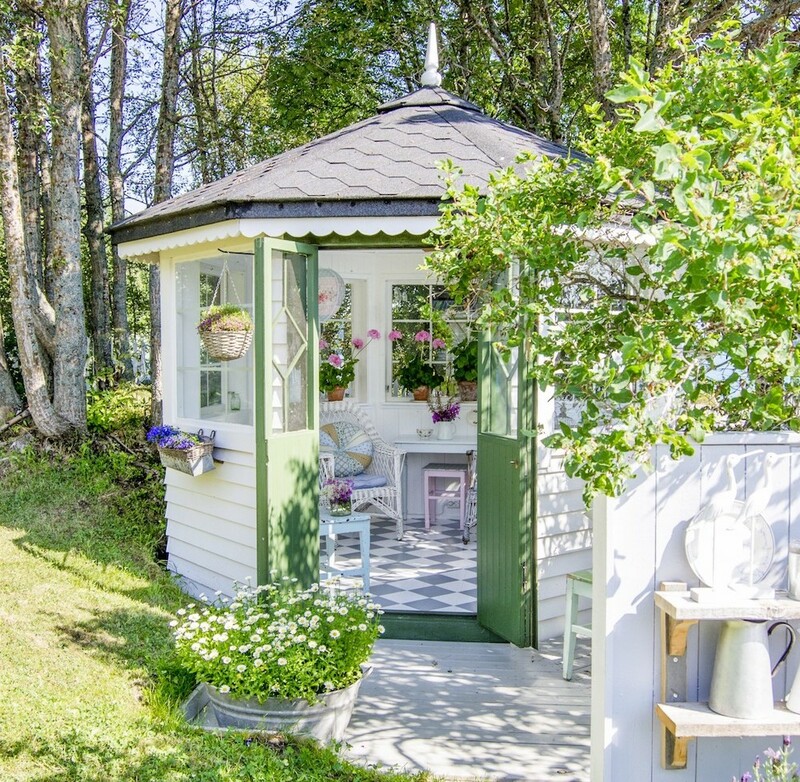 If you’ve got a decent sized space, how about adding a standalone office or conservatory? 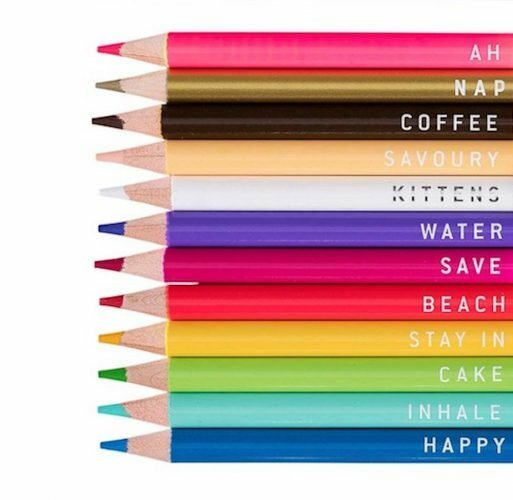 This would provide colour, interest, warmth – and mean you’ll venture outside in the frozen months. On a smaller scale, check out sleeper floors – where sleepers are laid level within a lawn – for sitting out in areas further away from the house. These areas could be sheltered with arbours or surrounded by raised beds, creating a hidden retreat for a cup of hot chocolate in the milky winter morning sun. Creating usable pathways around your garden, with stone paviors or self-binding gravel, to make access in the colder months easier. After all, no one wants to be stomping across a boggy lawn in February. 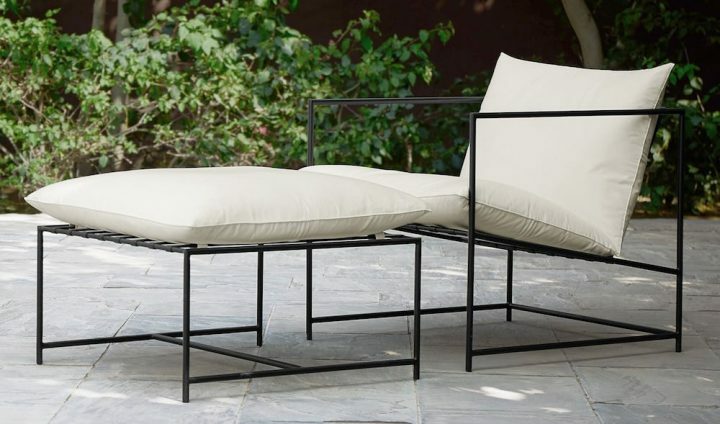 These are a huge trend at the moment for outdoor living and we love ’em. They’re another good way to make your outside space autumn/winter-friendly as they throw off some serious heat. They come in a variety of sizes, so work whatever your available space – and tend to sit at shoulder height (when you’re seated) so there’s no need to bend over to toast your marshmallows! Check out these ones at Indian Firebowl Company and Kadai. 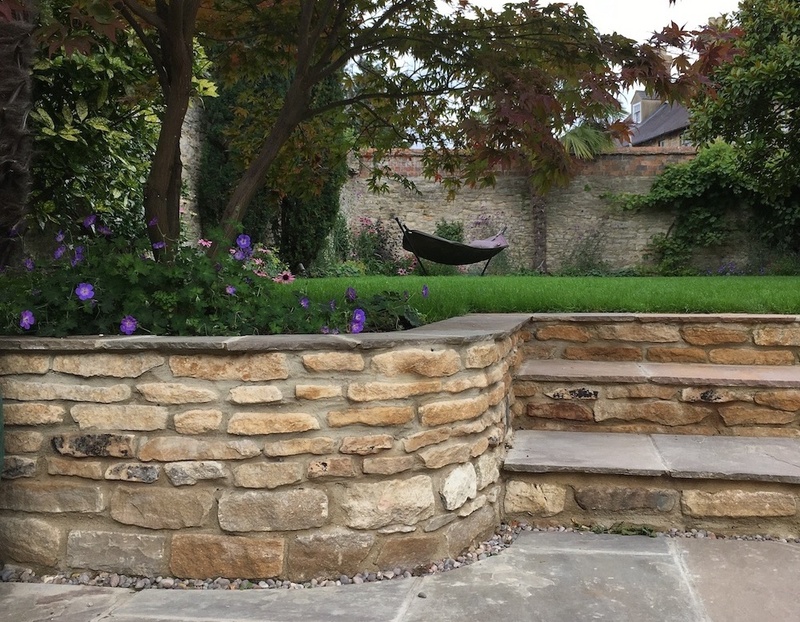 Edible gardens are popular at the moment, especially for city dwellers, with many of our central Oxford clients asking for seating area designs including lighting, raised planters, herberies, climbers and espaliers of fruits. When it comes to finishing touches, vintage style accessories remain big news – retro containers and planters, Victorian-style garden mirrors, even chandeliers placed on low-hanging tree-branches or suspended above seating areas. And finally, while it is still summer – how about installing a hammock? Not only are they obviously divine to loll around in, they give you a completely different view of your garden.